Bubby and Bean ::: Living Creatively: Did You Win the Fresh Flowers $75 Cash Giveaway? 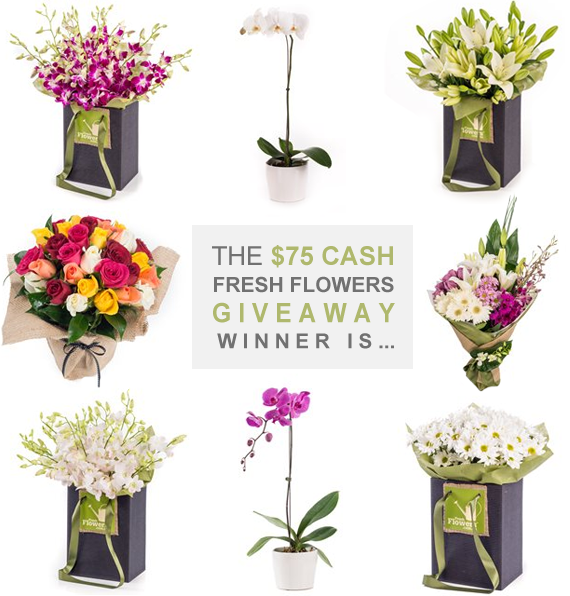 Did You Win the Fresh Flowers $75 Cash Giveaway? Congratulations Geraldyne! Please contact me at bubbyandbean (at) gmail.com with the email address you use for PayPal and we'll get your cash prize right over to you. Thanks again for Fresh Flowers for offering Bubby and Bean readers such a great prize! And if you haven't yet, don't forget to enter our current giveaway (tomorrow is the last day!) for a chance to win a Sun Glow Duo skin set from our pals at Skin Authority. Oh man. I'm ready for my garden flowers to bloom!